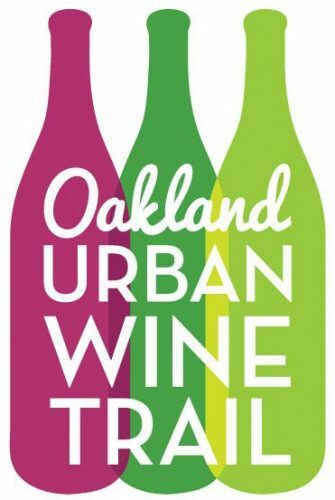 Obligatory Disclaimer: Participation in the Oakland Urban Wine Tour was free to me. A year and a half ago, I discovered the plethora of urban wineries housed in Oakland’s Jack London Square. Inspired by the quality of the wines and convenient positioning of their locations, I wrote up a suggested wine walk for Localwise. Apparently, I was on to something because the official Oakland Urban Wine Trail, developed by Visit Oakland, launched just a few months later. It covers 10 — 10! — different wineries mostly within walking distance of each other. 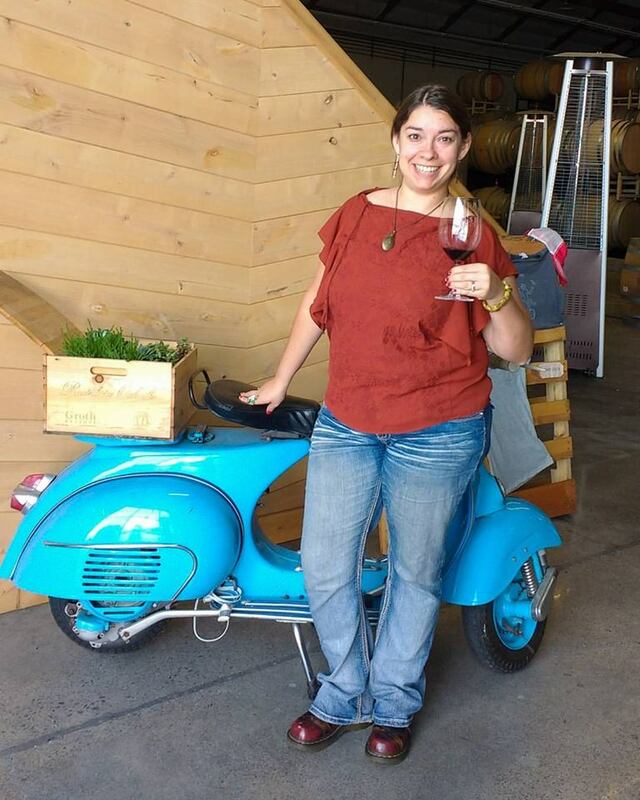 You can find participating wineries by looking online, or by looking at your feet. You’ll see that decal on the sidewalk in front of them! 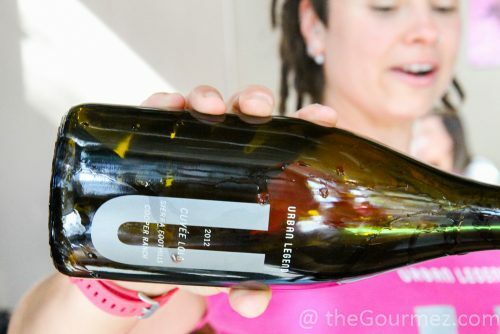 In the time since the Wine Trail launched, as might be expected, tours have cropped up to guide you along it if you want a more personal experience than downloading the brochure. I recently took part in one: the Oakland Urban Wine Tour put on by Raquel Navarro of See.Eat.Love. As Raquel expressed, her tours are centered around sharing places that she and her family regularly frequent – this is no distant tour guide reciting information by rote. 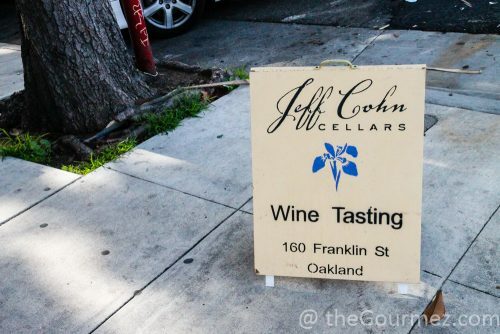 For that personal, friendly connection, Raquel’s Oakland Urban Wine Trail tour will run you $95 for 3.5 hours of sipping and sampling in the Jack London streets. Okay, you’ll mostly be off the streets, taking your time to taste through a generous list of pours at each location. We began at Dashe Cellars. It was my first time checking out Dashe wines, and I thought the wide-open space, industrial with touches of whimsy, was very inviting. 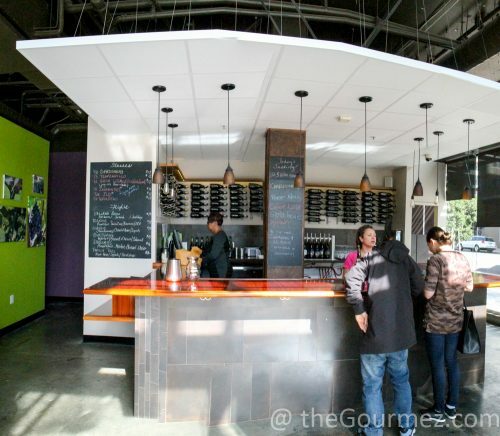 Plus, there were enough shimmering metal surfaces to light up a wine lover’s eyes. 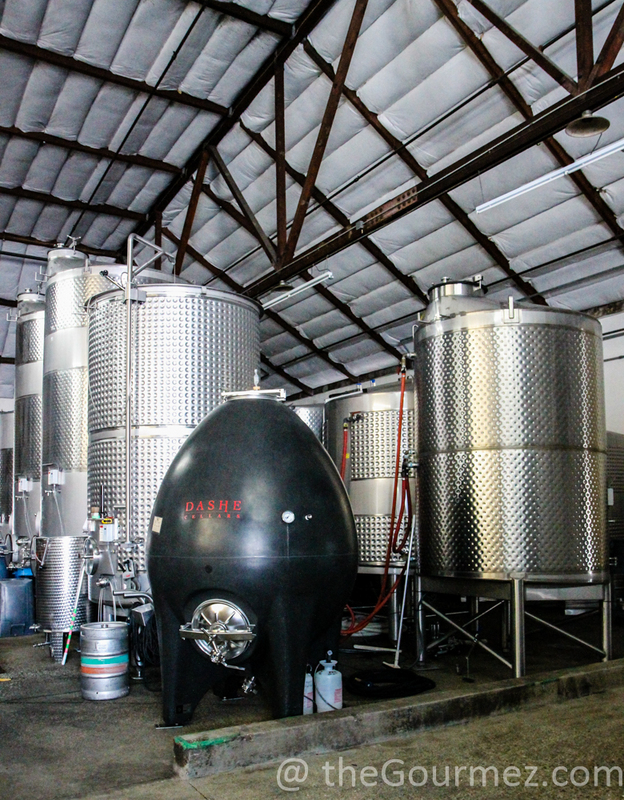 Dashe is one of only two local wineries that still produce their wine in the same space as the tasting room. Our tasting was conducted casually, at no rush, and at noon, we had the full attention of Megan Long, a tasting room associate who was a pleasure to chat with. 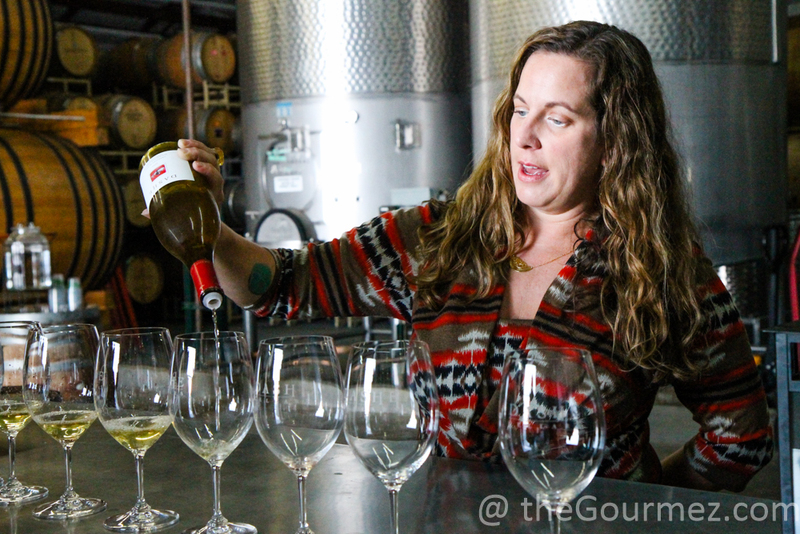 Megan poured us several tastes, though I think my crew of bloggers may have wiggled a couple bonus samples out of her. Four is likely the norm. With hours to go, one must sip with care, so taking the time to thoroughly consider each glass was appreciated. 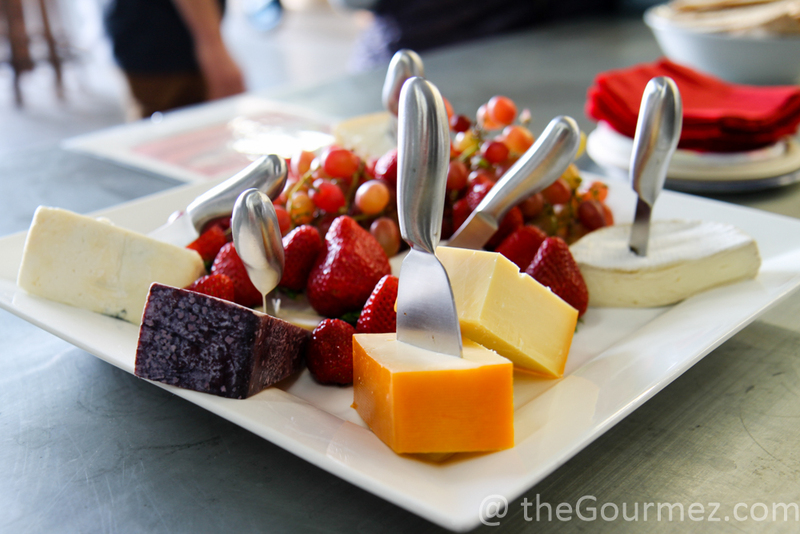 As was the beautiful cheese plate that wakened our palates. Raquel recognizes the importance of sustenance in a long afternoon spent conquering wine, so each stop came with some form of food to keep the tour participants going strong. She works with local vendors, so the exact food offered may vary from what you see here, but you can rest assured, something tasty is coming to pair with those wines. 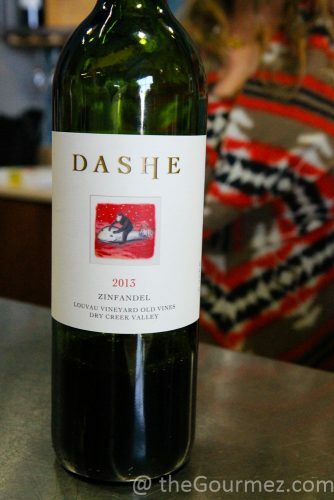 At Dashe, my favorite wine was the Heart Arrow Ranch Les Enfants Terrible 2015, which I gave 4/5 stars and described on Vivino as “Smells of cherries fallen in fresh soil and ends with laughter while rolling around in the leaves. 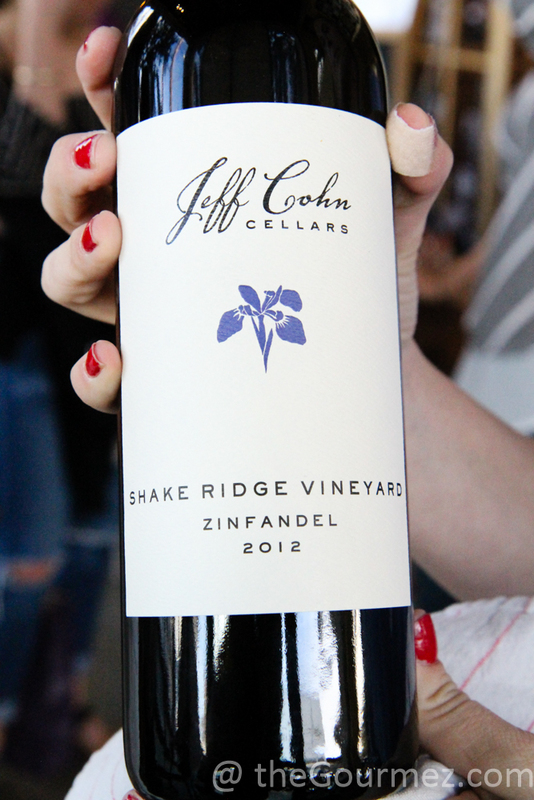 It’s plain tasty, an example of why zinfandel doesn’t always have to bowl the drinker over. Great with herbed chevre.” Yes, the referenced chevre was on that cheese plate! A close second, which also earned 4/5 for me, was the 2013 Dry Creek Old Vin Zinfandel: “”How a squirrel might feel nestled up in a tree hollow out of the rain.” One of my creatively confusing tasting notes, for sure, but the coziness of that wine is what captured me. Alas, one must move forward, though that is not such a bad prospect on a wine tour! 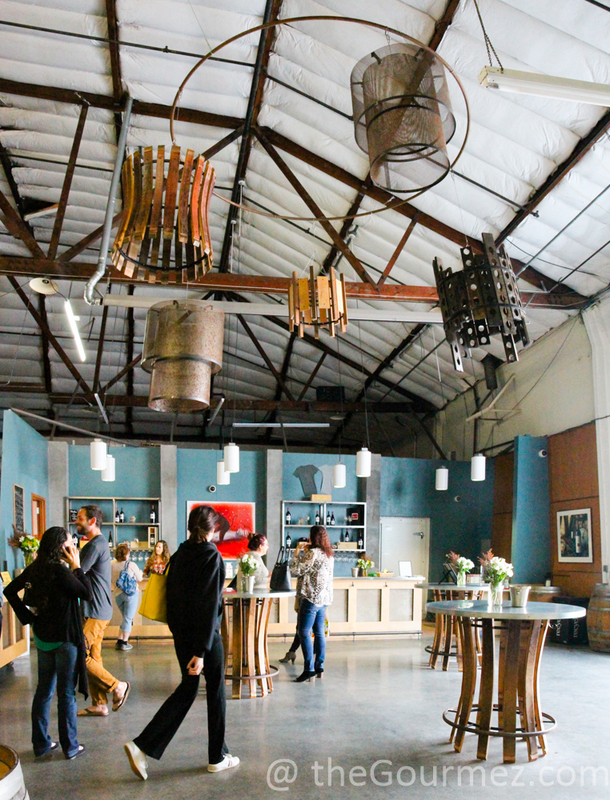 We headed out of Dashe and onward about five blocks to Urban Legend’s tasting room. I have sampled Urban Legend’s wine before, but this was my first time in their new slate-filled space that calls out for a lively group of friends to inhabit it….which may be what our tour group was fast turning into it. They experiment with blending many grapes in unexpected ways, which makes each mouthful a surprise even for stalwart bloggers such as ourselves. Yet it wasn’t a blend but the 2013 Cooper Ranch Syrah of Amador County that captured me most. 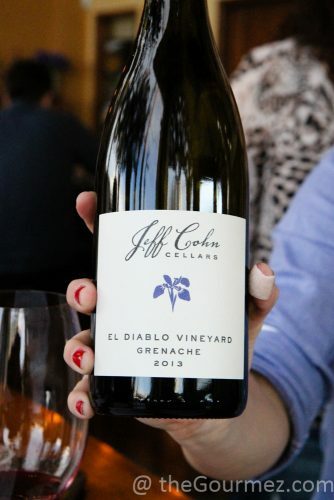 As I wrote in my notes, “Move past the nail polish nose and you’ll find a wine that begs for chili-spiced shrimp. Blackberry, tamarind, chili powder, lime, and a craving for Mexican candy.” The fact that I gave this wine 4/5 with some chemical pungency in the nose is proof, to me at least, that what was in the glass was that much more impressive. But what really dominated at this tour stop was the warm empanadas by Javi. We were offered three varieties, and I could not have chosen better than the chicken with bell peppers, onions, and a lively dose of black pepper. Perfect crust on the hand pies; perfect flavor on the inside. 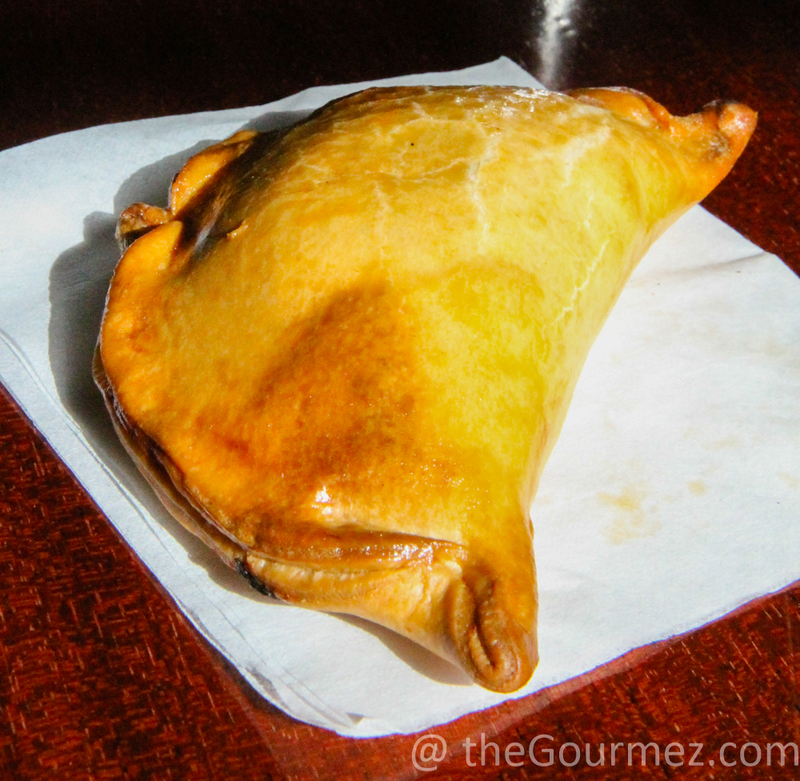 Check out Javi’s Empanadas for yourself at Scarlet City Espresso Bar in Emeryville. 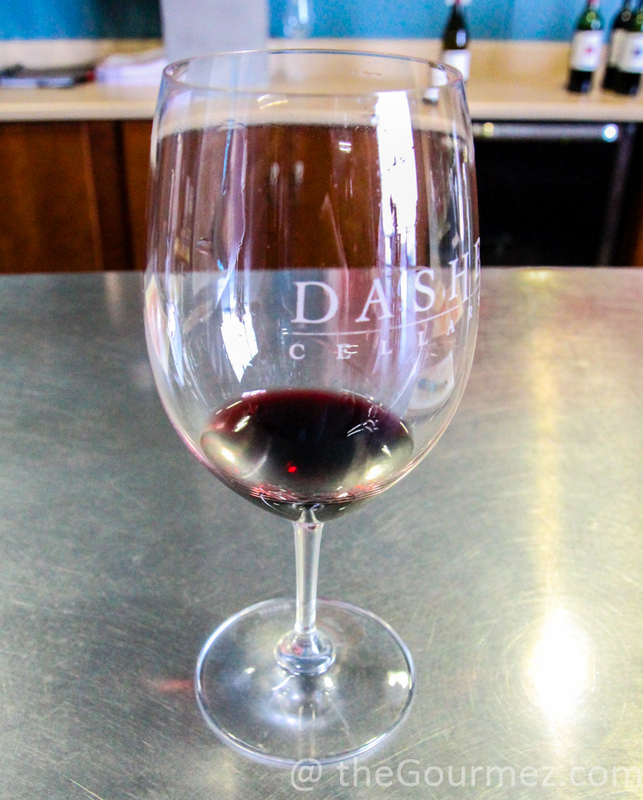 Stop #3 was even closer than Urban Legend had been to Dashe Cellars. That’s likely wise nine samples into (or more, I’m not telling) a wine tasting tour. Alas, we had no more meat pies. But rejoice! For Raquel introduced us to Winter, owner of We the Minis, a catering company that specializes in mini cupcakes and macarons. 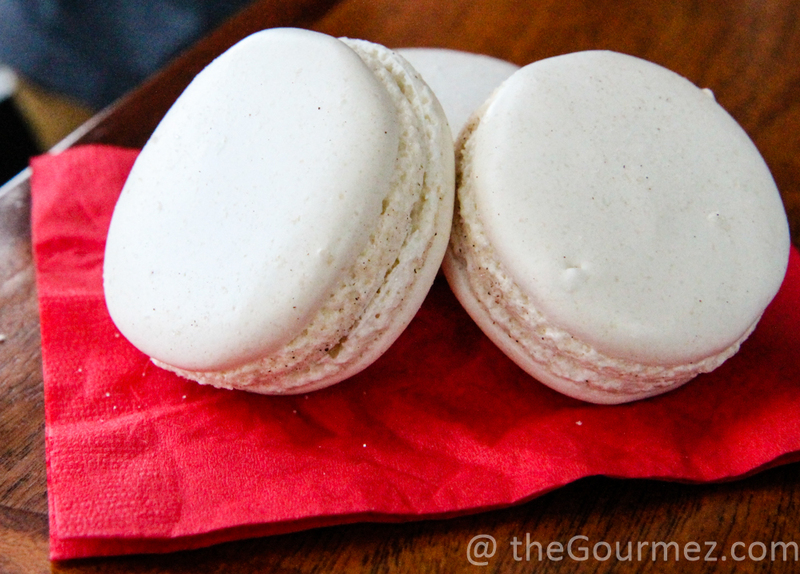 We had the good luck to try the churro macarons, which translated to soothing cinnamon coursing through each vanilla-laden bite. Would definitely eat again! I’m contemplating a journey to Oakland’s downtown Courtyard Marriot or Taiwan Bento to get my mitts on a matcha-chocolate cupcake or bacon-chocolate chip cookie soon. Foodie radar activated! And I must tell you, the final wine I’m highlighting, Cohn’s 2013 El Diablo Vineyard Grenache, is a foodie smorgasbord all its own. The smell was full-on barnyard and Muenster, as the wildest syrahs can be, and it tasted of deep roots in the hay…until the raspberries came out with white chocolate notes! And how did it feel on the tongue? Like melted cheese. What an adventure in the glass! 4/5. 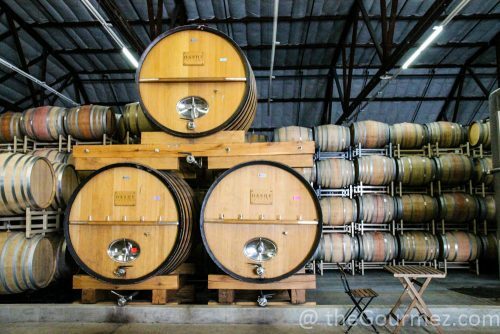 Sadly, should you go on this tour someday, Jeff Cohn Cellars will not be among the stops as they just announced a relocation of their tasting room to Sonoma. 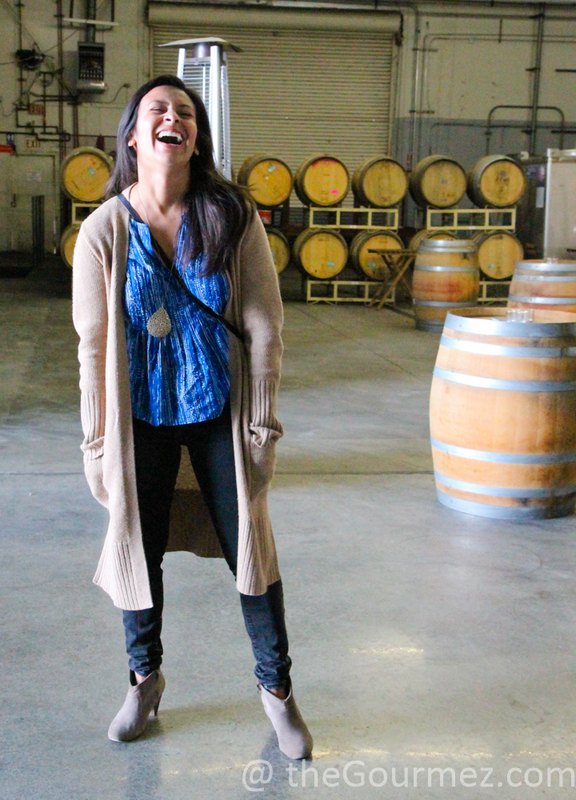 But I’m sure Raquel will come up with an equally awesome winery to include. My #EastBayWinePosse may not have ended the afternoon quite as fresh as we started it, but we sure were bubbly all-around. 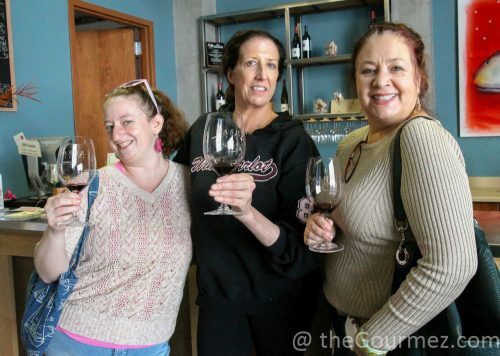 Kelly of Off the Beaten Glass, Nannette of Wine Harlots, and Liza of Brix Chicks. Not pictured: Xan of Brix Chicks. Tour took place 5 November 2016. Okay, Becca, you’re on. Michael and I will be up your way in May. You will meet us here??? Right?? ?